For the fourth week of the blogging marathon, I chose the theme pick one and make three. The ingredient I am going to use for the next three days is carrot. I have to make an appetizer, Gravy and desert with my chosen ingredient. 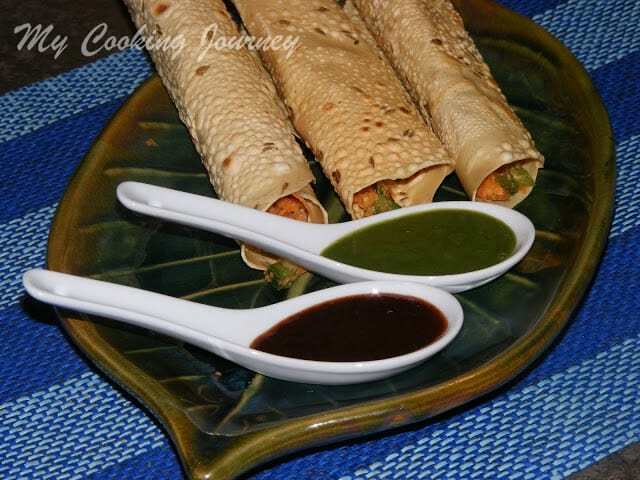 For the day 1, I am making this Masala papad as my appetizer. This recipe was in my personal recipe book for at least about 10 yrs. 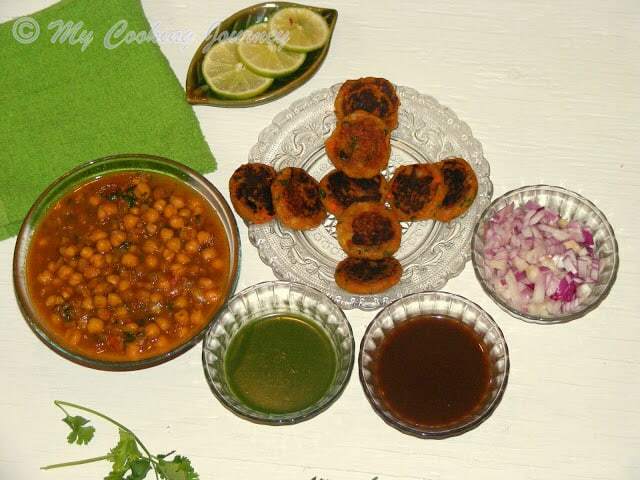 Long back I saw this recipe being made in some Indian cooking program and as soon I saw it I had made it once. After that for some reason I never made it again. When I was pondering over what to choose as my ingredient to work with for three consecutive days, my husband reminded me of this dish. I dug deep and found my old recipe book and found this recipe. 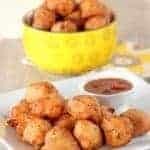 This is a very easy recipe with very minimal ingredients. 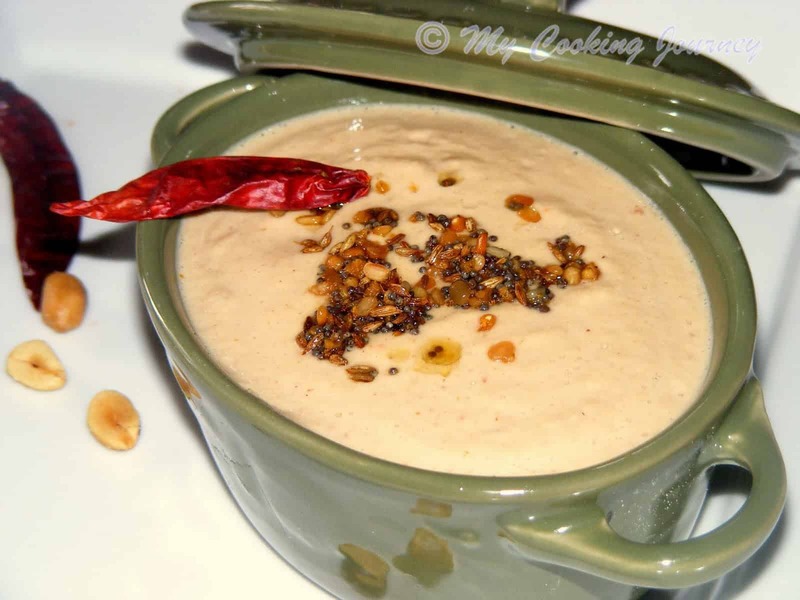 This is a perfect crowd pleaser and can be served with tamarind chutney and green chutney. 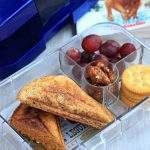 The ingredients I used are based on my family’s personal preference. 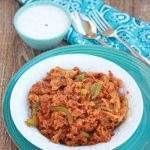 This recipe can be altered or any other vegetable can be added or taken out depending on your liking. In a bowl mix all the ingredients except the papad. 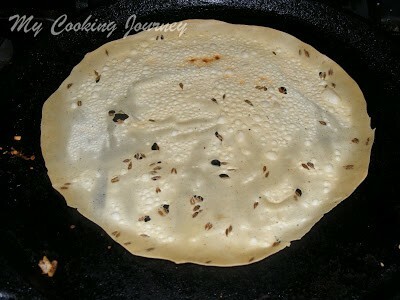 Heat a tawa and roast a lijjat papad on one side. Press with a paper towel to evenly roast it on all the sides. 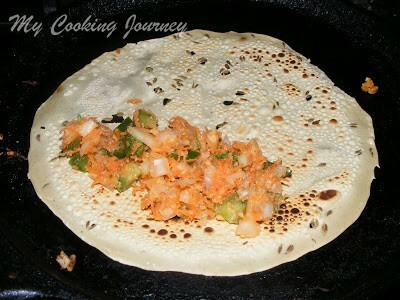 Turn the papad to the other side and then place about 2 tbsp of the masala on the roasted side of the papad. 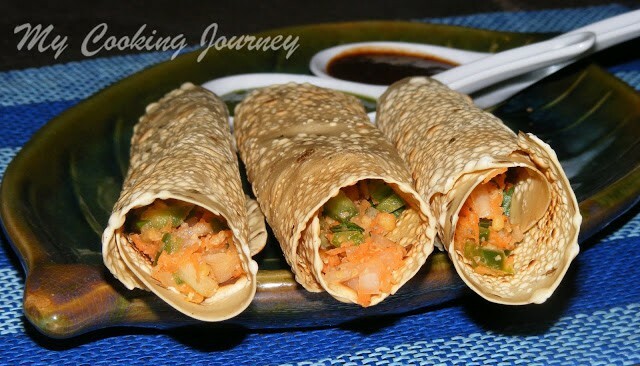 Slowly start rolling the papad into a roll with the masala inside. 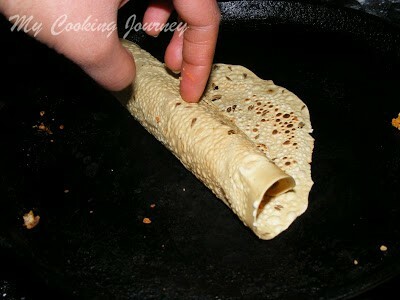 When the papad is hot it will be very pliable and can be easily rolled. Masala papad is now ready. 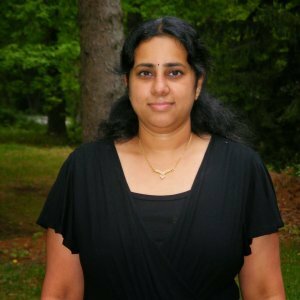 Serve as is or with Tamarind chutney and/or green chutney. 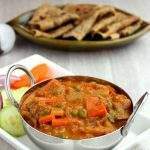 Do not make the masala papad too ahead of time since it will become soggy. Lovely recipe! I can't wait to see what you make for the gravy and the dessert. 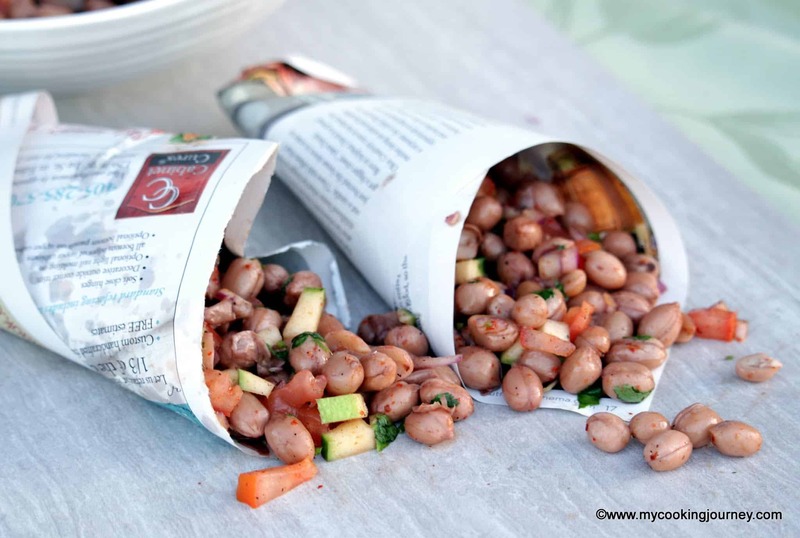 Even I used to make this a lot back in India …..This is my favorite snack ! 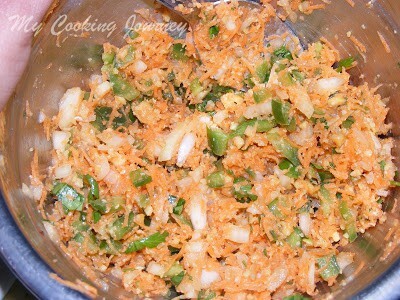 But I also add chilli powder and panipuri masala! 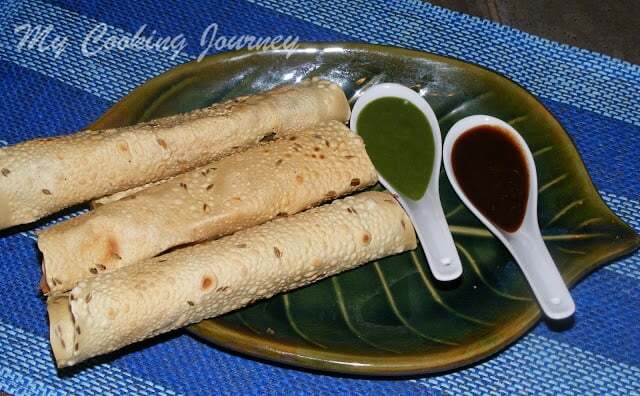 very well presented appetizer… love it..
Hi sandhya, ur papad rolls are quite intersting… what if papad could break when adding filling? wow…. looks wonderful n delicious…. 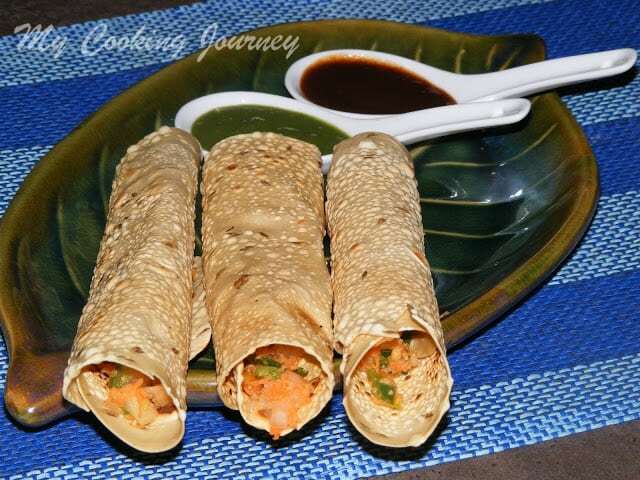 excellent and very attractive papad rolls, love it. very cute and a party pleaser!!! bookmarked !! have always wonder how in the world the papads are rolled without them cracking. thanks very much for sharing ..will definitely try. bookmarked! 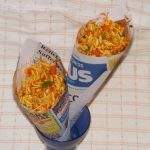 have always wondered how in the world the papad gets rolled without cracking. thanks very much for sharing this great recipe dear. really appreciate it. 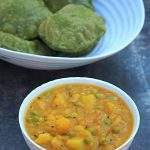 this shall be on my dinner table tonight Sandhya..though I will change the stuffing a bit according to family's taste…nice munch! !loved it!.. Nice recipe. I am sure kids would be pleased with this one! Oh wow…you rolled them with such easy. Fab job. Wow.. that's a very interesting dish.. great as appetizer. they look crunchy & delicious. Oh! My favourite. I have never added veggies in them. Would love to try this out.